Congratulations! You are pregnant and another chapter of your life has begun! There are many considerations with respect to prenatal yin yoga and you’ll likely have a ton of questions on your mind. You want the best for you and your baby, but where should you start? Whether you’ve been active or a little more passive, starting a prenatal yin yoga practice can be very beneficial. There are many reasons to start a yin yoga practice; some people want physical health, some want more focus on the meditative part of the practice. Know that yoga can provide all of this, but practicing Prenatal Yin in particular can bring physical, mental, emotional and energetic benefits during this beautiful yet challenging journey in your life by bringing emphasis to the breath (pranayama), pelvic floor work, creating stamina and mindfulness by working with softer poses. TIP: Please note that Yin yoga is not Restorative yoga. Although both feature slow-paced poses and movements, Restorative Yoga focuses on recovery from pain or injuries, whereas Yin works deeply with the connective tissues to lubricate joints and increase flexibility. Nowadays especially in the West, most forms of yoga are dynamic active practices focusing on working with movement the muscular part of the body, our “yang” tissues, half of our body. Prenatal Yin Yoga targets the other half, the deeper “yin” tissues: ligaments, tendons, joints, fascia, connective tissue, and bones. How you practice it is just as important as what do you do in your practice. Yin Yoga can be as strengthening as it is calming, as challenging as it is relaxing. During pregnancy the body releases a hormone called relaxin. This hormone softens the connective tissues affecting the joints, which can cause you to over-stress your ligaments and cartilage in the body, and possible damaging them. 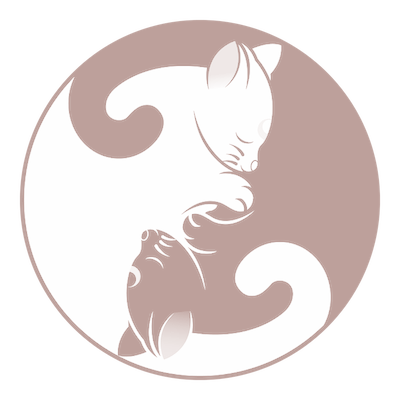 Yin yoga helps you focus your intention on creating space, stimulates the meridian lines and moving energy (prana/chi) through your entire body and your baby. It is important to listen to your body and maintain the same range of motion you did before you become pregnant. Right now is not the best time to experiment and push any further. Setting goals is important. It’s an important reason to be in the practice. You can have the same goals and intentions as you did with any other style of yoga, but how you practice in Yin is the biggest difference. Whether you step on your mat to be mindful (being present), to relax your body, or work with your breath, keep in mind that you are practicing for two. Your intentions (the steps to take to reach your goals) should not only focus on the physical part of the practice (the asana) but on your own health and your baby’s. TIP: Remember that everybody is different and something that may work for others you may not have the same results for you. So listen to the little voice inside of you and trust your instincts! The slower movement and long pauses in each pose help us to go deeper and focus inwards, creating self awareness. Knowing what is happening within our bodies and minds let us find balance. When we create inner harmony we position ourselves to find outer balance. This nurturing practice encourages inward focus, deepening mental and physical strength, and is perfect for stressed and fatigued mamas. For prenatal Yin practice, aim to stay in the pose for about 1-3 minutes. Don’t start at your edge, but rather go slowly finding your first point of resistance and allow your body to slowly release deeper into the pose, using your breath and props to relax. Explore and understand the difference between pain (sharp intense sensations) and discomfort (achy dull sensations). If you experience sharp or jabbing feelings then stop, but know that intense sensations are a part of this journey and if it becomes too intense you can always ease back. The key is to move mindfully, slowly and with control. 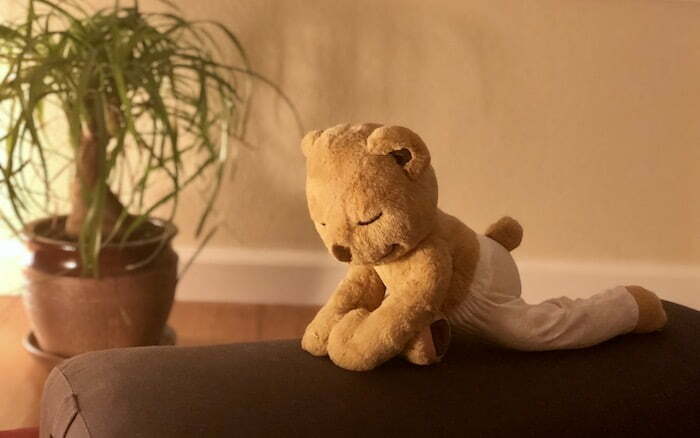 Yin yoga is a deeply restorative and meditative practice, designed to release and open the body, you are working to strengthen and release deep connective tissue, and so this takes time. This is the time when your baby is just getting settled in and generally women are told not to practice inversions so that the embryo can implant firmly into the uterus’ walls. You don’t have to worry much about this in Yin since there are not a lot of inversions, aside from the Snail pose, Downward Facing Dog and Wall Arch. Since your belly is relatively small it won’t get in the way of folds or twists, but you should start reducing compression of the belly nonetheless. During the 1st trimester and right before delivery the body releases relaxin in high concentrations. Your pubic symphysis (the cartilage between the pubic rami) softens because this area will need to open to allow your baby to pass through the birth canal. During yoga practice this area can inadvertently over-stress so be mindful in any poses that involve abduction of the legs (eg. Butterfly, Straddle, etc.) Don’t go any further than you did before your pregnancy. As your baby grows and your belly expands you’ll realize that some poses can be more difficult than before and others are not an option. At this point you may be craving some release in the spine and sacrum but lying on your belly is not working anymore. This is the time to start using more props (bolsters, blocks, blankets, etc.) to create space, support the body and find comfort. Getting into the spine can help relax tension, twists are okay and also release the spine but since the belly is getting bigger you don’t want to twist too deep. Keep the twists in the upper chest rather than the stomach area or work on open twists. Working the hips help you with strength and balance (eg. Squat, Butterfly and Straddle). At this time women are often advice not to lie on their backs because the baby’s weight compresses the Inferior Vena Cava (a vein that brings blood back to the heart). If lying on your back is uncomfortable your body will let you know, you may experience nausea, pressure, and any other physical sensations. Listen to your body, don’t force anything and use props or lay on your side with a bolster in between your legs to avoid pressure on your hip joints. If you don’t experience discomfort, then you are okay. Remember to step onto your mat with no judgment and no expectations, be content with what you accomplish that day knowing that practicing consistently will make a difference. A benefit of prenatal Yin Yoga practice is the effect on the energy in the body during each pose. We want to stimulate the meridians lines, moving prana/chi through your body and your baby’s. With more energy flowing through your body, bringing awareness is a nice way to develop the ability to feel this energy. TIP: Before embarking into a yoga practice, please note that you are able to do so, check with your doctor or health care provider before starting any type of yoga during pregnancy. Be aware of the changes you are experiencing and practice with intention and attention.